What is it about Orthodoxy that has kept it alive in a marketplace of beliefs? , a project of The Samuel Bronfman Foundation. , has reshaped the public sphere and remade public policy. In the US, where, by contrast, Orthodoxy must compete in a vigorous marketplace of beliefs, it has successfully crafted networks of institutions and ideas, distinctive practices and mores, and is increasingly visible in both Jewish communal life and American civil society. In both places, which together comprise some eighty percent of world Jewry, Orthodoxy has been able to win new adherents, even as those born into the fold drop off, a sign of genuine, if certainly complicated, dynamism. Orthodoxy is not the only contemporary religious movement that seems to be beating the historical odds and giving modernization theory a run for its money; and that complicates the lives, not only of sociologists, but of so many of us–Orthodox people included–who have long been operating with a distinctive story of modernity. Once upon a time, the Western story went, there was religion. A powerful phenomenon in its time, it had become tamed in the cool light of reason, an intermittently helpful and most often harmless handmaiden to the great and steadily-advancing projects of secularism and modernity. There were, to be sure, some who tried to hop off the Progress Express, indeed at times turn it around; they were called “Fundamentalists” and were to be pitied, really, and, when needed, put in their place. Now, it is unclear if anyone ever really believed this story all the way down, or believed it in massive numbers, or believed it all week long, including Saturdays and Sundays. But in one form or another it enjoyed very broad currency among significant elites (well beyond the enforced atheism of Communism). Indeed to this day, many Western elites have a hard time crediting the stated motives of religiously-driven actors, confidently–or nervously–translating those faith-based claims into the presumably more malleable lexicons of economics and sociology. Of course, before this view appeared in the cool form of sociology it had emerged white-hot from the minds of Enlightenment figures who had fought religion with a passion and determination which could only be called, well, religious. Indeed today’s social thinkers like Talal Asad are writing what every thinking Orthodox person has long known in his bones, that there is nothing neutral or value-free about secularism, and that it is not as pacific a dispensation as it seems. And the great sociologists–Max Weber, Emile Durkheim–were well aware of religion’s power, suasion, and necessity, and well understood what its seeming passing meant, or could mean, for morality, and for humanity. Three and a half centuries after Spinoza, two and a half after Mendelssohn, one and a half after the stunning collapse of traditional Jewish society in Europe, just half a century after the Holocaust (the triumph of Satan) and the creation of Israel (the triumph of Jewish Prometheanism), Orthodoxy still commands and wins adherents. And while nearly all the above were European events not directly affecting Mizrahi Jews, they too have been engaged with secularism and modernity in one form or another–indeed regularly had it shoved down their throats on arriving in Israel–and yet their fealties have been resilient too. This leaves us with questions: First, how did this happen? Second, can we answer that first question without falling into the arguments of Dawkins-like atheism (i.e. idiocy dies hard) or Orthodox triumphalism (i.e. just who is the real idiot here?). Both sorts of arguments–and many others–fail to reckon with the very real complexities and ambiguities of our lives, argue with straw men, are deeply unforgiving and, each for their own reasons, overlook the ways in which traditional religion, like Orthodoxy, precisely after the Enlightenment and all that has come after that, have much to offer. Orthodoxy offers powerful and in many ways persuasive answers to all three. Let’s take an admittedly brief and incomplete (but still, hopefully, suggestive) look. Secular modernity offered an answer to this question: About natural sciences, a great deal, about metaphysics and ethics, not much (and in the postmodern dispensation, a lot less than that). The astounding growth in both reach and quantity of knowledge in the natural sciences, and in other fields which were able to organize themselves along the lines of natural sciences has been matched in the past centuries in a steady diminution in the reach and suasion of metaphysical and ethical knowledge–and the terrifying certainties of crushing modern ideologies were in many ways a fevered and desperate response to that deep uncertainty. Orthodoxy, by contrast, argues that I can know a great deal; I can know, if not God Himself, human that I am, I can at least know His Will, and I can in some way read His mind, when I learn His Torah. Orthodoxy, like modern epistemology, imposes very real boundaries on human knowledge. But its boundaries derive not, as in modern epistemology, from uncertainty as to the truth’s existence but from the truth’s own boundlessness. I can’t know God, but I can know that He is there, so much there that I cannot begin to comprehend. I recoil in humility, but the ground on which I retreat, is firm. Modern skepticism treads on shakier ground, at least where my own existence is concerned. Of course, the epistemological asceticism of Hume and Kant was not the last word in modern thought, and, as shown most deeply by Charles Taylor in his magisterial work Sources of the Self and in other works, forms of knowledge drawing on, and reaching outward from, deep inwardness have provided moderns with rich understanding and their very senses of selfhood. Taylor calls this expressivism, by which he means the belief that every person bears a unique truth which arises out of their particular personality and life, and that that individual truth must emerge, not only for the individual to flourish but for the truth embedded in the world to be revealed. And so it has–many contemporary baal teshuvah movements drink deeply from the wells of expressivism, fulfillment, and meaning. In part this is because the expressivist impulse has been afoot in Western culture for a long time in various forms, including Jewish forms, such as Hasidism. 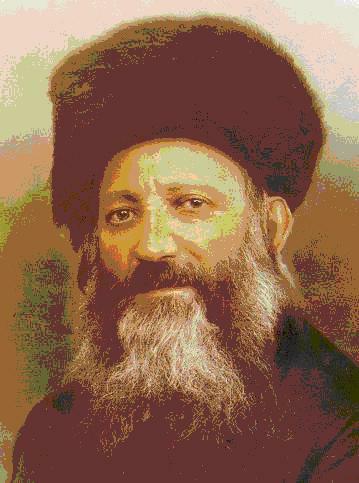 In part–and in a related vein–this is because numerous thinkers, ranging from Hillel Zeitlin to Rav Kook to Rav Kalonymous Shapira to Rav Soloveitchik successfully integrated a rich inwardness with a deep commitment to tradition, and were able to do so because it was the truth of their lives, and thus a model for others to follow. Which brings us to Torah study, and the sages who make it come alive. Cliche though it sounds, the sheer richness, depth, and interest of the vast library of traditional Jewish texts in all their permutations, is an astounding collective creation, and, yes, a sea in which one can swim on and on. 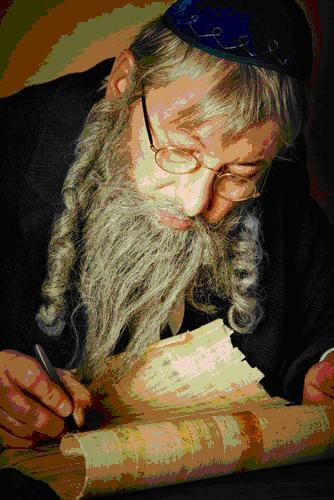 The great teachers of Torah are models of both intellectual power and personal piety. “The Crown of Torah is greater than them all,” Pirkei Avot says, and perhaps because it is, in Weberian terms, the Triple Crown, combining in one individual the three forms of authority which Weber saw as the foundations of legitimacy–formal-rational, traditional, and charismatic. Here Orthodoxy has a very great deal to say, laying out as it does, detailed rules and prescriptions for most every conceivable human activity, anchoring them all in a transcendent order and powerful sense of community, grounded in God’s Torah. The halakhah, as a sacred dance through space and time, learned through the Torah, the universe-in-a-text which itself creates all of Creation in the very act of its being studied, recasts human action as almost unbearably significant, even at its seemingly most trivial. Via halakhah and mitzvot, people, things, and being are joined in a shared motion towards the will of God. In the Kabbalah, they can help the Divine Will itself and rescue it from the primordial catastrophes which yielded the fallen, fractured world we know. In Orthodoxy, the halakhah in some fundamental sense lives outside of time, in two ways, which I call the ‘transhistorical,’ i.e. mitzvot are points of contact with eternity, lifting us above the regularly depressing realities of this world. and the ‘ahistorical,’ i.e. that the halakhah has taken shape outside of the categories of time and place that ordinarily shape our world of things. Of course Orthodox halakhah recognizes the existence of change and context, but not as regards the very sources and basic claims of the law, or the values informing it. (Odd though this latter claim may seem to many moderns, the creativity, and regular genius, of centuries of Talmudists regularly make it work). Thus halakhah becomes uniquely meaningful and uniquely authoritative. To the extent to which I can know God’s Will and even catch glimpses of His Mind, live by His Torah, and be joined to Him via mitzvot, I can live on in Him. While eternal life is beyond my comprehension, I can catch a glimpse of that, and even feel some of its comfort, through my participation in the collective life of the Jewish people. And at the end of the day, Orthodoxy regards itself as Verus Israel, the True Israel; after the ravages of modernity a saving remnant, but one which eventually will triumph. Orthodoxy sees itself as the truest bearer of Jewish authenticity and intensity. Standing alone, or nearly so, among all the forms of contemporary Jewish life, it sees itself living a life of mitzvot that would be more or less recognizable to Jews of the past; it alone fills the lives of its adherents with day-in-day-out, minute-to-minute, obligation, commitment, and faithfulness. It alone knows the real Jewish way to God, and through that knowledge, and the fortified will cultivated by that knowledge, will endure. When the Messiah comes, and he will, everyone will know. Of course most everything that I have written above is a gross oversimplification and more than a little Romantic, or maybe even worse. Of course, what we call “Orthodox Judaism,” as a self-conscious ideology in opposition to principled change in Jewish life, is in many ways a very modern phenomenon, as the great historian Jacob Katz and his many disciples have shown. “Orthodoxy” in and of itself describes a style of thinking and acting, and is itself devoid of content. The term “Orthodox Judaism” arose at the same time as the term “religion” came into use in the modern sense–in the late 18th and early 19th centuries–to stand for a broad range of different and sometimes contradictory beliefs and traditions in a time when spiritual, metaphysical, and ritual traditions ceased to make evident sense and tradition became traditionalism, one of the many ideologies to emerge from the collapse of traditional society. Orthodoxy as we know it was born as the tradition became aware of its own contingency and fragility, of the ways in which it is dependent on historical circumstances, and how a change in those circumstances may sweep that tradition away. When in Western and Central Europe, modernizing governments sought to create national religious bodies to represent the Jewish community, the question of “who would represent the Jews?” became a crucial arena of combat, and formal Orthodox separatism was born. Indeed, one can think of “Orthodoxing,” as a verb, a line-drawing demarcating insiders and outsiders in a severe way, rarely seen in Jewish history (early Christians and Karaites aside). It is unclear whether we can speak of “Orthodoxy” in Eastern Europe, as opposed to the continuation of tradition–accompanied by change, of course, though not necessarily, and certainly not entirely, reactive and ideologically-driven change. Indeed, the respective advents of Hasidism and yeshiva culture were themselves, as Katz first noted, themselves significant departures from traditional structures. And it’s not at all clear that the historical experience of 19th and 20th century Mizrahi and Ottoman-Turkish Jews can be called “Orthodox,” at all. Today, the differences between Religious Zionism, American Modern Orthodoxy, Shas and other, different, forms of Mizrahi practice, Chabad, Lithuanian yeshivot, Breslov, more traditional Hasidic dynasties, the substantial differences between American and Israeli Haredi life, Orthodox Feminism in its various stripes–and the list goes on–lead one to think less of one “Orthodoxy” than of multiple “Orthodoxies,” a cluster of groups, sharing some basic perspectives along the lines of the three questions and their fundamental answers, each processing them in their own way, by the lights of their own histories, doctrines, theologies. This is because its will to survive is grounded in something other than its own will to survive. Its strong and commanding sense of Jewish peoplehood is grounded in something other than peoplehood. (Is peoplehood even intelligible, let alone defensible, without reference to some sort of principles, or, failing those, values? Moreover, does the idea of peoplehood, which was developed as a means of salvaging Jewish identity work in the end, paradoxically enough, to undermine that identity insofar as peoplehood with no other anchorage is meaningless at best, dangerously chauvinistic at worst?) , Rather, Orthodoxy is grounded in the forms of knowledge, action, and hope outlined above. What is Holding Orthodoxy Back? So what’s the problem here? Why can’t we all just embrace Orthodoxy in one form or another, win eternal life, and ensure Jewish survival while we’re at it? In the Amidah for Shabbat and Chagim (holidays) we pray “ve-taher libenu le-avdekhah be-emet.” O Purify our hearts, that we can serve You in truth. Our sense of truth, the truths of history (such as we can reconstruct it), of metaphysics (such as it remains), of ethics (such as we cannot live without it)–are for many of us regularly at variance with the answers of conventional Orthodoxy. Each of these elements of contemporary thought undercut Orthodoxy’s suasion. In the feminist challenge they all converge, as Orthodoxy’s commitment to an ahistoric halakhah leads it to positions regarding women grounded in a metaphysic of hierarchy and power running deeply counter to many contemporary ethical ideals, learned at the cost of great human suffering. And yet our own sense of truth in its various forms must be the vehicles of serving God if we are truly to serve Him at all. But how? In modern times the two movements which, to my mind, arose as genuine alternatives to Orthodoxy were Zionism and, at least for several decades, Jewish socialism. Those movements did away with the familiar mizvot but created new ones in their place, obligations of such presence and power that people were literally willing to die for them. Zionism as an organizing and commanding principle of Jewish life, including in Israel, has in many ways run aground, both because of its steady drift away from the tides of Jewish history, and its steadily becoming the property of one particular group, possessing noble intentions and a terrible blind spot. Jewish socialism has gone the way of other socialisms, undone by its inability to match the prosaic contours of human experience, at least for now. Moreover, while ethics are the necessary condition of a Jewish life worth living, they are not sufficient. Recent years have seen a surge of projects in social justice, humanitarianism, ecology, and similar endeavors, aiming both to bolster Jewish identity and enhance Jews’ standing with other communities, and expressed in terms of Tikkun Olam. This traditional term, literally meaning “repair and restoration of the world,” has come to signify a Jewish commitment to ethically charged social activism, and well beyond the parameters of Jewish communities as such. Tikkun Olam work does indeed justifiably compel our attention, because of our moral obligations as human beings as Jews, the good ways in which this work can integrate Jews into the emerging networks of global civil society, and because it has the potential to become a stirring vehicle for Jewish identity; as Rav Kook noted nearly a century ago, modernity has served to uncouple from one another Jewish ethics, spirituality, and peoplehood, leaving each in the hands of one party or other, and to the extent to which a humane and self-critical effort at Tiikun Olam can heal that fracture it will be a blessing for us. But only if it there are meaningful forms of peoplehood and spirituality to which it can connect, equally persuasive and powerful. What then are we to do, those of us who cannot follow contemporary Orthodoxy all the way down the road, even for love, who know the blandishments of bourgeois liberal religion for the thin gruel that it is even as we appreciate the civic peace it can bring, who refuse to see Hazal and their successors as merely another set of jailers in the great Foucauldian prison that postmodernists call home? I have no real answers here, but perhaps the makings of a way of thinking. Jewish life proceeds through a vocabulary of ideas and practices. When we think of terms such as yirat shamayim (fear of heaven), bat Torah or ben Torah (dedicated to Torah), kedushah (holiness), mitzvah (commandment), shemirat Shabbat (keeping the Sabbath), or Ahavat Hashem (love of God), shemirat halashon (guarding one’s tongue), tikkun middot (making oneself better), Torah Li-Shmah (Torah for Torah’s sake), gemilut hassadim (good deeds), hovot halevavot (duties of the heart) or Tsu zayn a heilige Yid (being a good Jew), we immediately grasp that we have here a vocabulary that more accurately captures the texture of our religious lives and etches our religious horizons more than do any statements of doctrine, halakhic ideology, or denominational affiliation. Compared to them the word “Orthodoxy” is leaden, flattening, even frightening. For now, it’s the term to describe a world and the term much of that world uses to describe itself. I think it would be good for all of us–the Orthodox included–to move beyond that specific term and back to that earlier vocabulary. Aside from “Orthodoxy” and beyond a certain point, the bloodless terms we use to capture modern Jewish life such as ‘identity’ and ‘ethnicity’ simply don’t work, they break on its specificity and complexity. “Jewish identity,” increasingly seems to me less a meaningful term than a kind of linguistic ghost; with the death of metaphysics and ethics their residual meanings drain into this amorphous thing we call “Jewish identity,” a grab-bag for everything from Steinsaltz to Seinfeld. Even the more full-blooded terms such as ‘nation,’ ‘people’ or even civilization don’t quite do it (though it may, in its semi-transcendence, come close), and neither does ‘faith;’ though ‘faithfulness’ might. Because while the faith I have in something stays with me, I am faithful to something or someone, and my faithfulness must find expression or it isn’t faithful at all. How to shape our lives around kedushah, or Yirat Shamayim, Torah li-Shema, or Kiddush Ha-Shem–and that last term even in its most extreme meanings–after Enlightenment, after Holocaust, after Zionism, and after Orthodoxy? How to learn and live Torah after and through all our shatterings? Can we reshape these terms into a new constellation balancing freedom and faithfulness, autonomy and authority, one that is neither radically tribal nor exclusivist, yet still with a beating heart? Can Torah be what Taylor calls the “inescapable framework,” which makes sense of our lives? Among a number of modern Jewish thinkers we find, at times explicitly at others between the lines, calls for a new halakhah, one with the commanding power of the old, persuasive to we who have come after, who see ourselves as coming after. I increasingly think that if there will be a new halakhah it will not be formulated by a committee, or even a new Sanhedrin. Rather it will emerge from below in myriad practices and reflections on practices, in the mix of study and practice that is one of Judaism’s most distinctive features relative to other traditions. The batei midrash of the new halakhah will come in many forms; some of them will have bookshelves, others will be hospitals, workplaces, public spaces, the laboratories of the new halakhah for democratic societies. Can the new truths, as Tehillim hopes (85:12), grow up from the ground as justice looks down from Heaven? The only way to know is to try. I have hope. 9 tips to help your family get along, even if members observe Judaism differently.